On July 17, 1918 Carlos Romulo (1899-1985), then editor of the University of the Philippines’ student newspaper, led a group of 500 angry students to the office of the U.S.-owned Manila Times, demanding the retraction of an editorial they saw as racially motivated. In the context of U.S. colonial rule of the Philippines, Romulo and his colleagues sought to challenge what the further denigration of Filipinos by representatives of their imperial occupiers. Forced to stand on a table to address the crowd, the beleaguered American editor of the Manila Times agreed to publish the student newspaper’s reply, although the Times did not retract the offending editorial. Romulo and the students accepted this as a victory, and cheered their way back to the university campus. This press squabble stuck with Romulo , who went on to an illustrious career as a newspaper editor in the 1920s and 1930s, directing the Philippines’ two largest newspapers over the course of the interwar years. He remained committed to the freedom of the press, but also to the idea that the press had a responsibility to cover news forthrightly. Romulo’s newspapers maintained a consistently anticolonial line, and as part of this political project Romulo also sought to challenge white supremacist accounts of Filipino backwardness, and so he highlighted to need to report the news without the bias of racial prejudice. Romulo felt this could be enforced if the subjects of journalism had the right to reply to articles they found objectionable, as he and his classmates had done in 1918. Romulo would carry this idea to the center of world politics after World War II, making a crucial non-Western contribution to modern human rights discourse through the fight for what became known as the Freedom of Information. During a tour of Southeast Asia in the summer of 1941, Romulo heard Asian nationalists across the region express frustration at their inability to raise their concerns about colonial rule and the advance of Japan in the international media, due to the dominance of Western conglomerates like Reuters and the Associated Press. After Japan conquered most of Southeast Asia in December 1941 and early 1942, Romulo cited his interlocutors’ frustrations as one of the reasons so many Asians cooperated with the Japanese. Therefore, while Romulo toured the United States as an exile, he called for the postwar world to guarantee the free movement of information around the world, in order to rectify the imbalance of power among Western and non-Western peoples. For Romulo, the freedom of information would contribute to anticolonial movements by showing Western audiences the truth about colonized peoples and their aims for liberation, as he heard from Asian nationalists on his 1941 tour. Romulo, who won a Pulitzer Prize for his articles about the tour of Southeast Asia, also argued that the free movement of accurate news around the world would prevent totalitarian regimes using misinformation to secure their rule and foment international conflict. After the war and the independence of the Philippines in July 1946, Romulo found himself the Philippines’ representative to the newly minted United Nations, where he quickly began pushing for the establishment of press freedom and responsibility, framed as the “Freedom of Information,” in international law. Freedom of Information had other proponents during World War II, but Romulo became its most prominent promoter from 1945 forward, and he explicitly framed it as a human rights concern. At the October 1946 meeting of the UN General Assembly, Romulo proposed an international conference to ensure the free flow of information all around the world. In his speech, Romulo claimed that the Freedom of Information was a human right, and the basis of the human rights to which the UN was dedicated. Romulo consulted with the U.S. delegation about his proposal, and U.S. pressure led him to argue that nations should not be allowed to jam radio broadcasting or restrict imports of films, thus supporting industries still dominated by the United States. However, Romulo’s formulation of freedom of information included not only rights, but duties, including the duty of journalists to cover events responsibly, and the right of reply for those covered by journalists, just as Romulo had fought for in Manila in 1918. Under the auspices of the Committee on Human Rights, which was framing the Universal Declaration of Human Rights (UDHR) and the Genocide Convention at the same time, Romulo’s proposed conference on Freedom of Information met in Geneva in March and April 1948. Romulo chaired the conference, which culminated a year of work by UN officials, who proposed three conventions on the Freedom of Information to become part of the international human rights regime, along with the UDHR and the Genocide Convention. The three conventions covered three different aspects of the Freedom of Information: the first guaranteed the free flow of information across borders, granting foreign correspondents the same immunity held by diplomats; the second focused on the duties of journalists, including the right of reply; and the third bound nations to guarantee the freedom of the press within their borders. 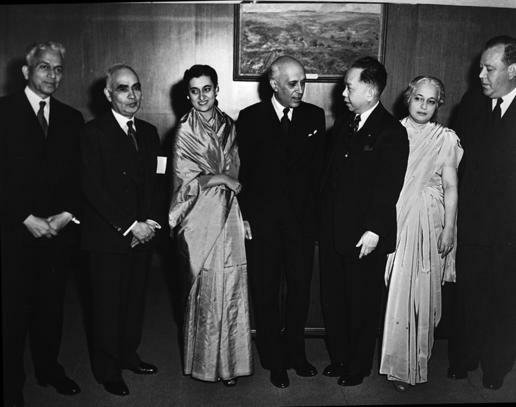 Through an alliance of non-Western and Western countries, the conference’s delegates outvoted the Communist bloc, which opposed all of the pillars of Freedom of Information. However, division between the United States and Great Britain on the one side, and France and the non-Western countries on the other, was already apparent in 1948. Thus, while Romulo proclaimed the draft conventions a success and hoped they would prove a Magna Charta of the Press when he closed the conference, danger lay ahead for the Freedom of Information. Politicking over the UDHR and the Genocide Convention dominated the working of the General Assembly in the fall of 1948, so that the Freedom of Information had to be delayed until spring 1949. In the meantime, the United States and Great Britain began to feel the right to reply demanded by France (which had written such a right into its laws in 1881) and non-Western nations, and championed by Romulo, was too high a price to be paid. Procedural wrangling by the United States, Great Britain, as well as the Communist bloc delayed any consideration of the 1948 conventions until they were watered down at American behest, and died on the vine in 1952. Neither the United States nor Great Britain would give in to the notion of a right to reply, fearing disruptions to their dominant wire services such as the Associated Press and Reuters, and the Communist bloc refused to countenance the rights of the press at all. In the end, the two sides of the Cold War ended up cooperating to thwart the enactment of the Freedom of Information conventions. 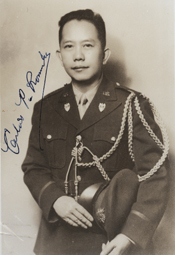 By the mid-1950s, Carlos Romulo had risen through the ranks of Filipino and world politics to become a major player in the Cold War in Southeast Asia. However, even he could not rescue the Freedom of Information from its decline. Ironically, the United States and the Communist bloc came together at the height of the Cold War to block the addition of the Freedom of Information to the UN human rights apparatus. Only in the 1970s, when the Third World bloc at the UN proposed a New International Economic Order (NIEO), would the ideas of Freedom of Information return, in the form of a proposed New World Information and Communication Order (NWICO). Like the NIEO, however, Western nations again rejected these non-Western ideas being at the center of human rights law. Now, “Freedom of Information” refers to the public right to information from public bodies, rather than the comprehensive set of rights and duties suggested in the 1940s. The strange life of the Freedom of Information, with its multiple origins in U.S. and British-style press freedoms, French right of reply laws, and a Filipino protest in 1918, reminds us that human rights did not only originate in the West and diffuse out to the rest of the world. The demise of the Freedom of Information in the 1950s also reminds us that human rights law does not proceed inevitably in a progressive march. Human rights depend on political and economic circumstances providing the space for governments to support them, in addition to the will of individuals like Carlos Romulo to push for change. Romulo, Carlos P. Mother America: A Living Story of Democracy (New York: Doubleday, Doran and Company, 1943). Romulo, Carlos P. I Walked with Heroes (New York: Holt, Rinehart and Winston, 1961). Cmiel, Kenneth. ‘Human Rights, Freedom of Information, and the Origins of Third-World Solidarity’. In Truth Claims: Representation and Human Rights, edited by Mark Philip Bradley and Patrice Petro (New Brunswick, NJ: Rutgers University Press, 2002): 107-130. Mitoma, Glenn. Human Rights and the Negotiation of American Power (Philadelphia: University of Pennsylvania Press, 2013). Whitton, John B. ‘The United Nations Conference on Freedom of Information and the Movement against International Propaganda’. The American Journal of International Law 43, no. 1 (1949): 73-87. Mark Reeves is a Ph.D. candidate in History at the University of North Carolina at Chapel Hill. He is working on a dissertation about the intersection between anticolonialism and internationalism in the careers of four anticolonialists from the Philippines, Syria, India, and Nigeria. He received degrees in history from Western Kentucky University. He was a participant of the Global Humanitarianism Research Academy 2016. Citation: Mark Reeves. ‘Manila, 1918: The Freedom of Information’, in Online Atlas on the History of Humanitarianism and Human Rights, edited by Fabian Klose, Marc Palen, Johannes Paulmann, and Andrew Thompson, 2017-06, urn:nbn:de:0159-2017071053 [2019-04-26].